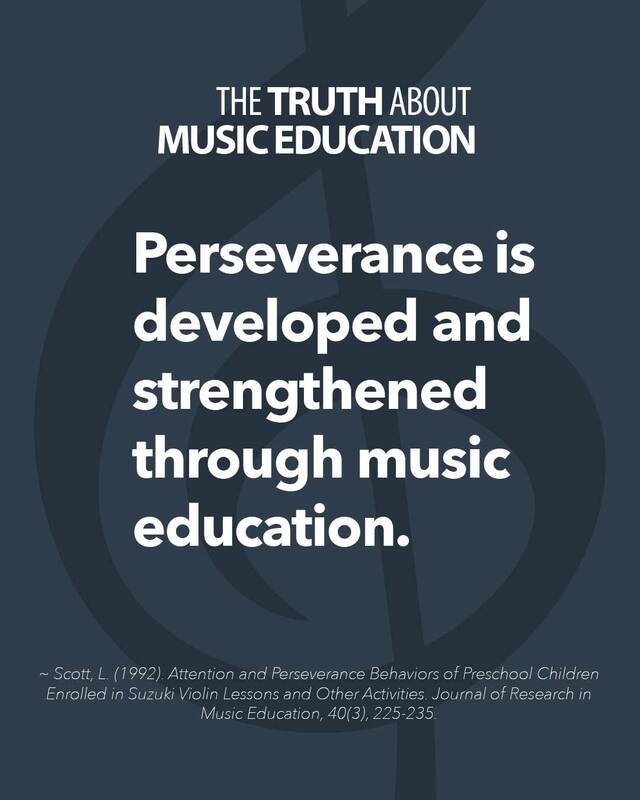 Perseverance is developed and strengthened through music education. ~ Scott, L. (1992). Attention and Perseverance Behaviors of Preschool Children Enrolled in Suzuki Violin Lessons and Other Activities. Journal of Research in Music Education, 40(3), 225-235.